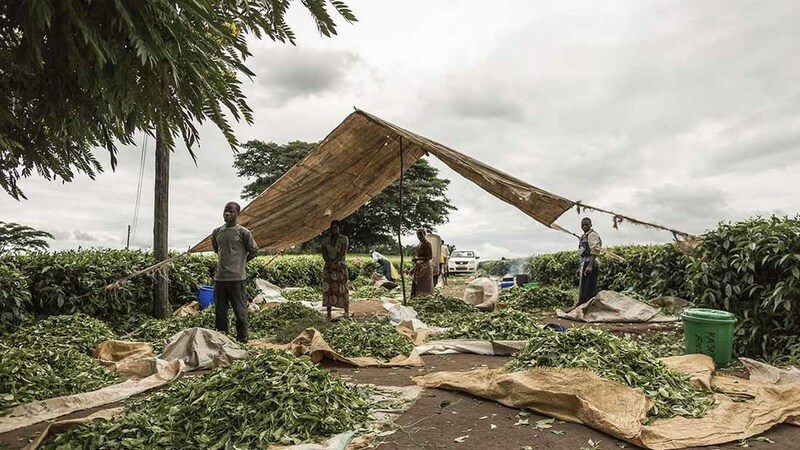 As Fairtrade Fortnight launches this weekend, Farmers Guardian takes a closer look at the challenges of a Malawi tea grower whose slog is relentless. Sukambizi is an organization of small-scale tea producers in the Mount Mulanje area of southern Malawi. Since acquiring Fairtrade certification in 2008, the association has grown its membership from 4000 to over 8600 as local farmers have seen how Fairtrade Premium projects have helped advance living standards. Esme Kamwende’s house is simple but tastefully decorated. An artistically designed map of Malawi is displayed on the wall next to the dining table - a gift from one of her six children. 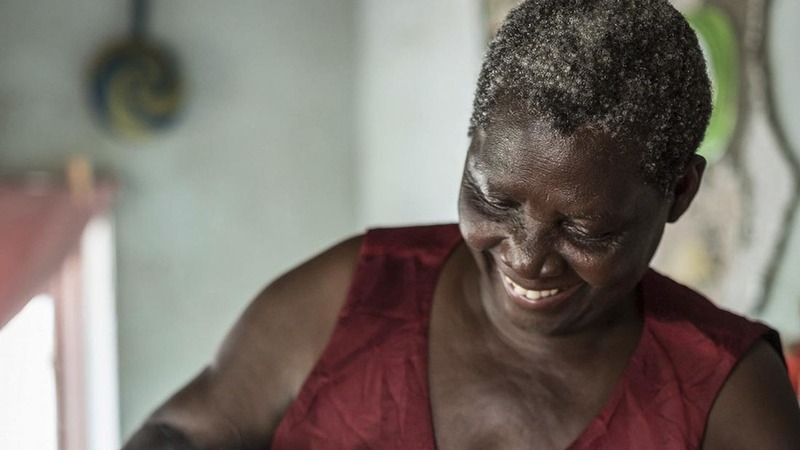 The 70-year-old grower lives in modest prosperity in one of the world’s poorest countries. She is part of the Sukambizi Association Trust, a smallholder farmer co-operative (see box). The project began in the year 2000, an association of about 100 farmers. Today, 9,000 people cultivate tea in this region on Fairtrade terms since 2008 and they share one remarkable feature – 70 per cent of the members are female. Esme says: "My husband died early so I raised my children alongside working as a tea farmer, and each one has made something of their lives. “One of my daughters is a primary school teacher, another is working in the Ministry of Agriculture. One of my sons has its own IT company. I am very proud of them all." She exudes calm and strength, a woman who knows what she has achieved, but is never idle. She lives in her house with her youngest daughter Ennet and her two children Alinafe and Priscila. And Esme’s mother Ephy, who is now 85 years old, still helps with the housework. Four generations live together in four rooms. A light switch in the hallway is purely symbolic, as is the water tap in the kitchen because electricity and water are a luxury in Malawi that few can enjoy. That’s because the first solar projects were only recently brought to the village to provide electricity for mobile phones and to listen to local music in the evenings and refrigerate cold drinks. The village also has a water pump what was installed several years ago. This is the tributary of the underground mountain spring water from Mount Mulanje. Previously, explains Esme, villages had to walk a kilometre to collect water and in the rainy season, the water was often brown and muddy, the road particularly cumbersome. Again and again, residents from the village became ill.
Today things are better and everyone can pump the fresh water fresh water for free. "In my country, only one in 10 people have access to clean drinking water so we we’re very happy," she says. The electricity and water projects were financed thanks to the Fairtrade Premium whereby the co-operative gets 0.5 USD for every kilo of tea sold, in addition to the selling price. As Esme moves to her garden – her favourite place - flowers, vegetables and fruit trees grow here along with pineapples, avocados and spinach. "A lot has happened in recent years," says Esme. Many people prefer to live in the country rather than in the city, even if the work here is often harder. "Our community is strong and we try to help each other. Fairtrade is an incentive to become a tea grower", she says. The premium has enabled her to buy key materials such as fertiliser and supported the community through investment in school blocks, a clinic and covering school fees for orphans. Climate change however is a big problem. Nowadays it often rains heavily for just a very short time, and the longer periods of gentle rains have become less frequent. Tea production relies heavily on established rainfall patterns. Climate change is causing overall rainfall in some areas to drop, which is beginning to affect tea productivity and yields. Changing weather patterns are also shrinking the available land for tea production and changes in temperature are seeing increase of pests or incidents of frost in tea producing areas which affect production. In the Global Food Security Index, Malawi is ranked 105th out of 113 countries. Especially in the dry season, food prices are soaring. "It is important to take action as a group and that’s why we built a warehouse for corn," explains Esme. This project was also financed through Fairtrade. The price of harvesting maize is generally reasonable, but then the cost of this staple food doubles or even triples during the hungry months when there is less food available. "Now we can buy large quantities together during the harvest season and are food secure in the difficult months." Despite securing supply she still remains concerned. "The $1.4 per kilogram price our co-operative earns from sales of our tea is a good floor price if the world tea price is bad. But we need more and more fertiliser which is becoming increasingly expensive. Often I do not know how to finance everything. I also notice how I get weaker. There will come a time when I will not be able to work as productively as I can now, "says Esme. Her working day starts at 5am and picking and weeding is a routine Esme is still fond of after all these years. "We produce high quality tea, pick only the delicate, light green shoots. Never more than the top three leaves of a plant should land in the basket." There are important quality requirements, which she insists must be internalised by the next generation and why she teaches her daughter everything she knows about tea. As Esme cooks with her daughter heavy drops pound on the tin roof - a sound that makes Esme proud. "Just a few years ago, most of the houses in the village had straw roofs. Now almost all are tin roofs, a sign of prosperity", she says. Despite the current challenges and uncertainties, Esme believes in a positive future in farming. "The first thing we did when we became Fairtrade certified in 2008 and received the Fairtrade Premium for our tea was to invest in the expansion of the school and build a house for the headmaster. “We believe in a future here but this is only possible if the next generation gets your support, "says Esme. 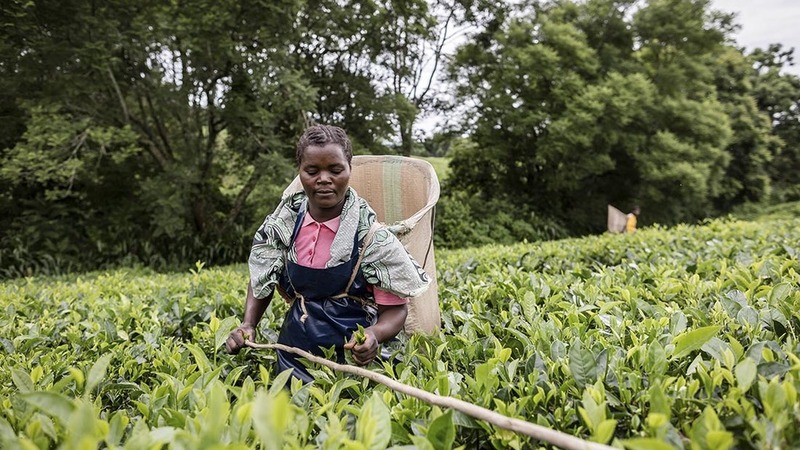 She hopes that in the future more people will buy Fairtrade tea and one of her main ambitions is for electricity to come to the village so they can cultivate more tea and earn a comparable amount to Kenyan producers, who have factories fitted with electricity. "This community does not take the money we earn from Fairtrade sales for granted. “It shows us many people around the world are trying to make a difference and we are all grateful for this sign of solidarity. " In 2014 small farmer organizations invested 37 per cent of their Fairtrade Premium in community, education, and health projects. They also strengthened their producer organisations, for example investing in infrastructure to support more efficient production and processing—such as renovation of the tea buying centres where the smallholders bring their green leaf. 364,100 people were involved in Fairtrade tea as smallholder farmers or as workers on plantations at the end of 2014 (most recent stats).